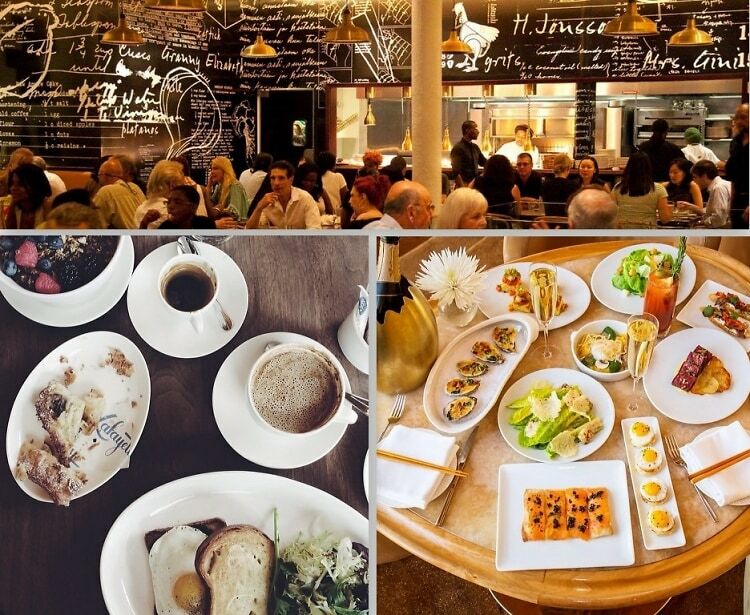 We've rounded up 10 brunch restaurants in NYC to add to your list. Whether you want to people-watch on the Top of the Standard or indulge in a midnight brunch at Red Rooster, we've got you covered. From the delicate yuzu bellini and steamed buns at Momofuku Ssam to the infamous caramelized-onion laden burger at The Marrow, click through for some of our favorite NYC spots with new brunch menus!